B-Quik Racing is headed for the 12th Bangsaen Grand Prix this week with its biggest and most powerful line up to date, running ten cars across six categories during the “beachside” event’s action packed programme. The Bangsaen Grand Prix is the “Jewel in the Crown” of Thai motorsport and gets underway the day after tomorrow (Wednesday) with the first free practice sessions. We have a great track record on the 3.7-km street circuit, topped off by eight consecutive Super Car GTM wins between 2014-2016. Our bumper line up will be led out by a two-strong entry in Super Car GTM Plus with our #26 Porsche 997 GT3-R shared by Henk J Kiks and Peter Kox while the #27 Audi R8 Ultra GT3 will be driven by Daniel Bilski and Adderly Fong. 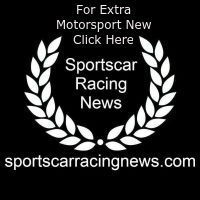 That in fact means regular drivers Henk and Daniel will both enjoy the support of ‘factory’ drivers. Peter is an official Acura driver and of course was part of our winning team in the 2016 Sepang 12 hours, while he joined Henk for the debut of the “GT3-R” in Buriram at the beginning of last month, meaning we will hit the ground running with a very settled driver pairing who are familiar with the car. It’s an “all Dutch” line-up too! In Super Car GTM Alif Hamdan will switch to our newly acquired Porsche 991 GT3 Cup with the 997 GT3 Cup he raced in Sepang and Buriram moving into the hands of one of our customer drivers. This will be the young Malaysian driver’s first time in Bangsaen, but he thrives on street circuits and has shined before at Macau, so he’s good to go. Will Bamber and Jeffrey Chiang will be again sharing in the #11 Porsche 991 GT3 Cup they debuted in together during the last round. For Jeffrey this will be his first time on the streets of Bangsaen while Will claimed a sensational double win here in Porsche Carrera Cup Asia last year so he will be looking to carry forward that form and expect him to be pushing hard as possible. He’s “doubling up” this weekend as the young New Zealander is also back in the “Carrera Cup” series again where we also support him. All our drivers in Super car GTM are ready to fight hard and certainly will be looking to repeat the excellent run of podiums they claimed during the last round. Lastly in GTM, we will support the #29 Porsche 997 GT3 Cup driven by Thomas Raldorf; the Dane is now switching up to the car driven by Alif during the opening races of the season. 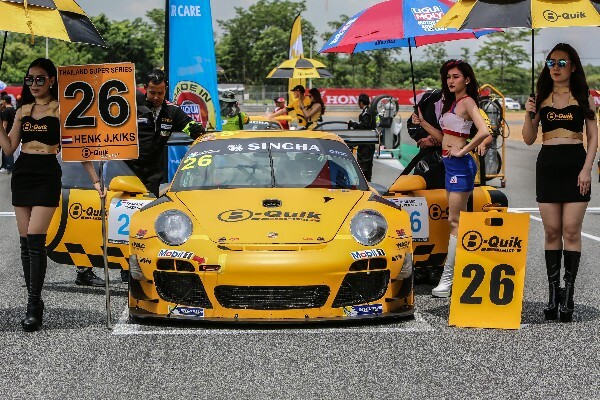 In Super Car GTC Ian Geekie will be back in the #18 Porsche 997 GT3 Cup as he goes into his second time at Bangsaen. The first time went well so expect the experienced Australian to be on the podium this weekend during GTC’s races which switch to Friday and Sunday for the first time.